Beautifully unconventional is the perfect way of describing 'Visions Of A Life', the long awaited follow up to 2015's Mercury Music Prize nominated 'My Love Is Cool'. London based quartet Wolf Alice (made up of Ellie Rowsell, Theo Ellis, Joel Amey and Joff Oddie) have taken the bull by the horns when it comes to the infamous difficult second album challenge... and the result is something quite spectacular. Opening track 'Heavenward', with its' effervescent instrumental sonority and haunting vocals, is a painstakingly beautiful teaser of whats' to come. The introduction is somewhat lengthy, with well over a minute of shoegaze-esque melodics before Ellies' vocals kick in. Ethereal and thought provoking from start to finish, it's the kind of track that lingers on your mind long after its' reached its' conclusion. The interestingly titled 'Yuk Foo' was the bands' first glimpse into their second album, and with its' distinctly punchy, attitude infused punk-rock aura, it's safe to say that the track definitely makes a lasting impression. "You bore me, you bore me to death," Ellie snarls, amid a furious, guitar-led tonal storm. The track is a stroke of pure brilliance, providing the perfect backdrop to any situation worthy of rage or hauteur. The charismatic and catchy 'Beautifully Unconventional' is perhaps the most commercially appealing track on the album, seamlessly blending the bands' usual rock styling with something with a little more groove. A soulful yet deliciously girlish vocal styling is complimented perfectly by sparkling instrumentals throughout. 'Don't Delete The Kisses' is one of a few tracks on the album delivered with an almost spectral divinity. Complete with achingly romantic lyrics and a synth-pop scrim, it's a delightfully charming story of uncertainty and desire that most everyone will relate to in one way or another. "I might as well write all over my notebook that you rock my world," Ellie croons, thus bringing a somewhat girlish but endearing sentimentality to proceedings. 'Planet Hunter' withholds a touching vulnerability, elucidated by lyrics that exude melancholia and nostalgia. Delicate and beautiful, it's the perfect example of the bold and experimental direction in which Wolf Alice have taken with 'Visions Of A Life'. 'Sky Musings' has an almost thought provoking intricacy to it; sung in barely more than a whisper, it builds up momentum before reaching its' psychedelically charged climax. 'Formidable Cool' is compiled of similarly spoken-word verses, leading into a searing chorus. It's atmospherically layered throughout, all but jumping between genres from one verse to the next; however, bold as it is... it definitely works. Both the short but sweet 'Space & Time' and the censorious 'Sadboy' have an exotic yet divinely elysian quality. Irresistable, addictive and vibrant, the album seemingly continues to pick up the pace as it races toward a empyrean cessation. Then comes 'St. Purple & Green', which has a paradisiacal feel to it, edging in with theatrical, otherworldly vocals before suddenly immersing the listener in an explosion of guitars and fulminating drum beats. 'After The Zero Hour' is, quite simply, a story in song. It's dramatic, spirited and soul-stirring. As is our grand finale 'Visions Of A Life' which as well as providing the albums' title, acts as an absolutely stunning denouement. 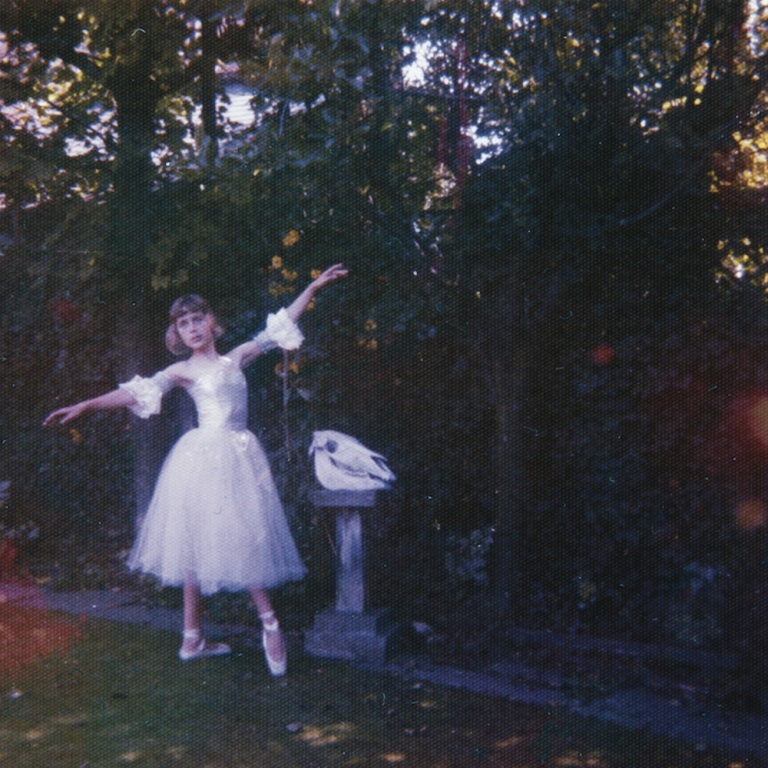 'Visions Of A Life' as a whole is Wolf Alice at their absolute finest; it's intrepid, brave and beautiful from start to finish. Impossible to label and even more impossible to forget, the band cast off what is conventional and derivative in favor of something a little more empirical.